The Center for Game Science’s first scientific discovery game, Foldit, recently celebrated its 10th anniversary. 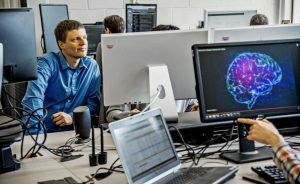 Co-creator/game developer, Seth Cooper, and biochemist/scientific liaison, Brian Koepnick were kind enough to take a moment to answer some questions about Foldit, their involvement, and some history of the game. How do you describe Foldit to someone you meet on the streets? Brian Koepnick: Well, first I tell them it’s a free computer game, available online at https://fold.it. Then I tell them that Foldit is a protein folding game, and that proteins are nuanced and intricate molecules that handle practically every process in biology. In the human body, for example, there are 10,000s of different proteins that handle all the different and minute tasks of metabolism, sensation, immunity, etc. If we knew how they all worked, then we would essentially have a complete understanding of human biology. And actually, since these proteins are encoded in DNA and we’ve sequenced the human genome, we even know the composition of all of these proteins—but we don’t know their structure. The incredible thing about proteins is that every protein folds up in a precise way, giving it structure that allows the protein to do what it’s supposed to do. By playing Foldit and competing with other players to fold virtual proteins, you help researchers predict the structures of proteins involved in Ebola viral infection, or Alzheimer’s disease, or basic metabolism. The structures of these proteins give us clues about how the proteins work, helps us understand diseases and how to treat them, and improves our understanding of all biology! How did the idea for Foldit originate? Seth Cooper: Originally, the Baker Lab had a volunteer computing project called Rosetta@home, which let participants donate spare computing time to protein folding using a screensaver. With Rosetta@home it was possible to watch a protein fold but not to interact with it. So the idea was to let people interact with a folding protein so they could try out different, possibly better, approaches to folding. This way people could apply their brain power and not just computer power. How has the game evolved since its inception? Seth Cooper: We’ve added a lot of features to the game since the game was first launched. Protein design is an important one. We are continuing to add new tools to let players design their own protein sequences and structures, which can be tested in the wetlab. And we have just recently added support for small molecule design! We also added Lua scripting support so players can automate some of their folding strategies. Brian Koepnick: I first heard about Foldit when I was still an undergraduate, in 2011, when Foldit players made a splash by correctly predicted the structure of a viral protein. At that time I was doing some research studying the structure of a certain protein (a methionyl-tRNA synthetase), and how that protein’s structure allowed it to carry out a specific task. But I hadn’t given much thought to the problems of protein structure prediction or protein design. I was impressed by the way that Foldit reframed a complex scientific problem as a competitive game, such that ordinary game players could make real contributions to scientific research. So, when I came to UW for grad school, I approached David Baker about working on Foldit. I joined the Baker lab in 2013 and have been working with Foldit since! 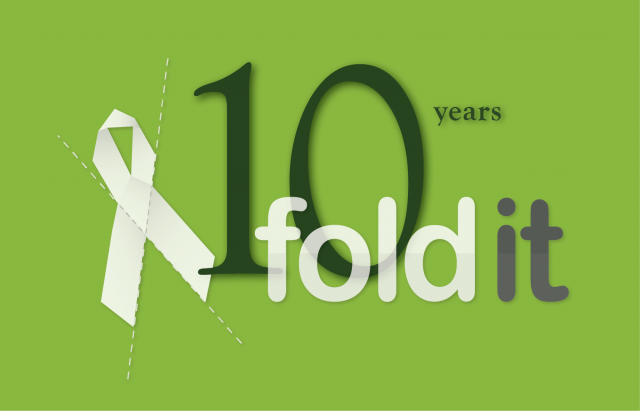 How has Foldit impacted the world of protein folding? Brian Koepnick: I hope it has exposed more people to the wonders of protein structure! Over the past ~60 years, the study of protein structure has fundamentally changed the way that we approach medicine and biology—all of life arises from these elegantly folded molecules! But I think most people have been unable to appreciate this, because protein science is formidable and difficult to approach without a Ph.D. Foldit provides a different avenue for people to begin exploring the world of proteins, without all the academic prerequisites. And if Foldit players are further intrigued by proteins (how could they not be?) then maybe they’ll start to dig into the science on their own. I love to see Foldit players become more curious about the proteins in the game, and take it upon themselves to learn more. Who knows? Maybe we’ll convert some computer gamers into career scientists. Do you think Foldit has had an impact on the world of citizen science games? Or on games in general? Seth Cooper: I’d like to think so! Since Foldit started 10 years ago we’ve seen a lot of new and exciting citizen science games come out. I think citizen science games can provide a fun way for people to participate in the science that is interesting to them. I hope Foldit has shown that video games and players can help contribute to science and society. Here at CGS, we’ve been working hard on our new game, Mozak. 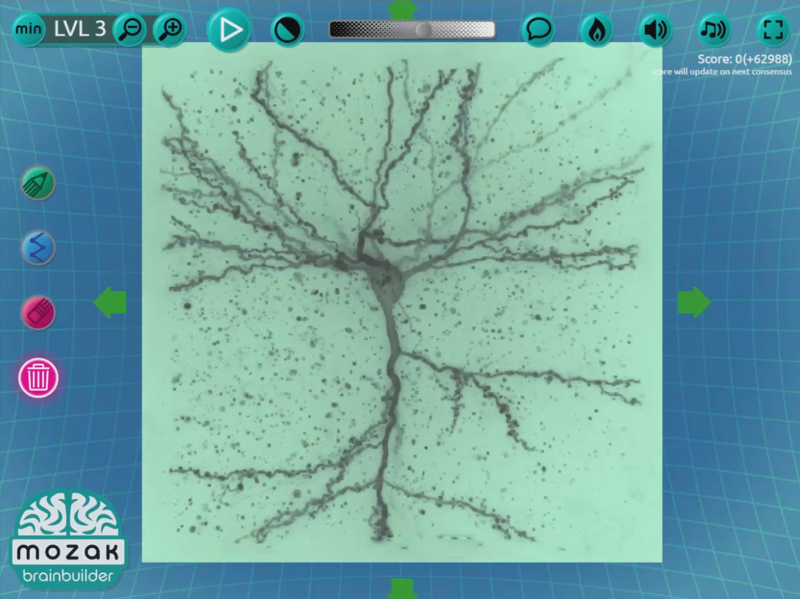 This game lets everyday people help create 3D reconstructions of actual neurons! Recently, the New York Times published an article about Mozak. Komo News also wrote an article about a local Seattle player and why she plays Mozak. These features in local and national news are huge for us because it means we get the word out there. The more people play Mozak, the more neurons get reconstructed, the more impact we have advancing neuroscience and our understanding of the human brain. It is an exciting time here at CGS and we welcome you to join in the excitement by playing, commenting, sharing, and being a part of our community on Facebook, Twitter, or on the actual Mozak site. Today, feel free to take a moment and enjoy this fresh Getting Smart podcast with our director as he talks about where his journey in computer science has taken him both in his education and professionally, and how we can help today’s students be successful using artificial intelligence. Have you explored our neuroscience game beta, Mozak: Brainbuilder? Our community is doing incredible work by currently exploring mice neurons in the primary visual cortex (V1) and anterior lateral motor cortex (ALM). Join in the fun and learn new things while making contributions to science or simply follow along with the progress being made. Algebra Challenge update: We have not yet picked out a date for our next challenge, but we know how eager our fans are and hope to announce something soon. To stay up to date and be first in line for those announcements, please join our (extremely low volume) mail list. We are still hiring for our open positions, see this post for details on how to apply and what’s currently open. Please note we cannot answer any emails about the status of these positions via our general information email address directly. Today, we wanted to point you at not one, not two, but three, count them, three opportunities to work at the UW Center for Game Science. All positions are located on site, UW Washington main campus, Seattle, WA. Apply here and learn all about UW and working here. Senior Developer. Take on a primary role in software architecture and development in this role. Experience must include at least 3+ years in software engineering (not necessarily games). Use requisition 139678 in your search. Research Manager. 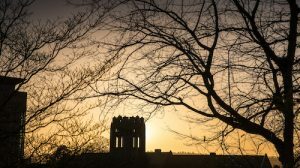 You will coordinate research and development activity, directly supervise UW paid staff, conduct employee performance evaluations, and hire and supervise temporary support staff as needed. You will also create regular status reports for funding organizations and for external messaging; and organize and participate in the grant writing and application process. This is requisition 133638. Developer. 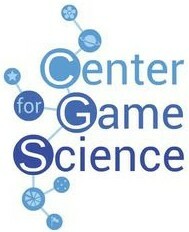 This individual is responsible for the development of serious games for the Center for Game Science research projects related to learning and scientific discovery. Please use req number 138817. Good luck! Please let people you know about these positions.